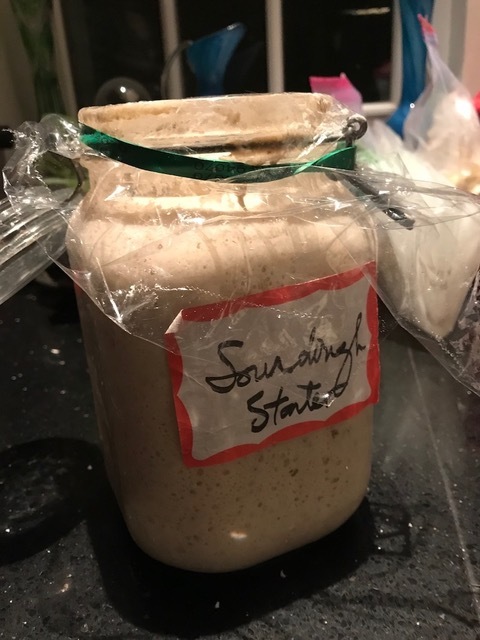 As a microbiologist and home baker I have always wanted to make sourdough. I have made regular bread on a number of occasions so why not. Step 2-Use the starter to make sourdough bread. When you say it out loud, it sounds really easy-right? 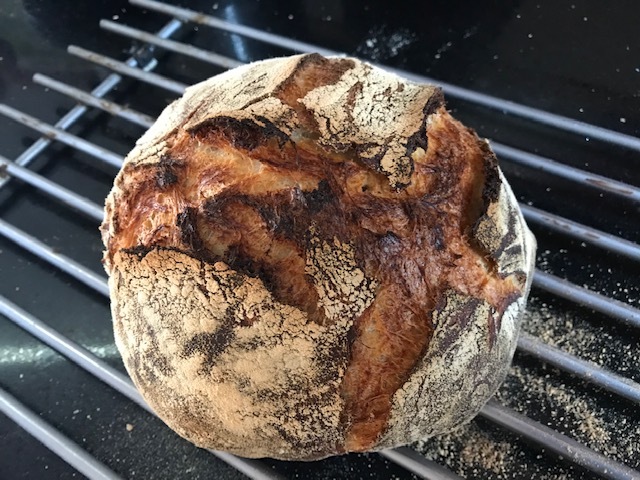 Sourdough bread is just starter + water + salt + flour. That is it. Oh, and you need a really hot oven with a source of steam. I have all of these things and yet, my loaves are not consistent. 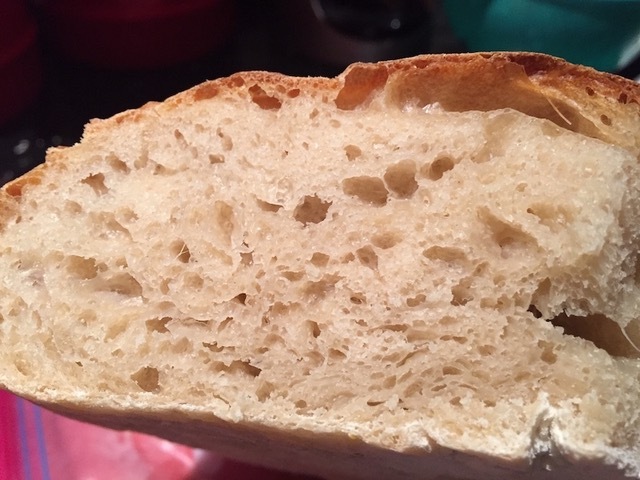 This one turned out well, but any bread expert will see the large hole right below the crust. It was tasty! I recently purchased Flour, Water, Salt, Yeast by Ken Forkish. The book has been helpful. I have figured out that I don’t develop the gluten enough. I also flinch on the proofing. At least 2 of my loaves were underproofed. I also just found out that my oven (though it says it is at temp) is far off. 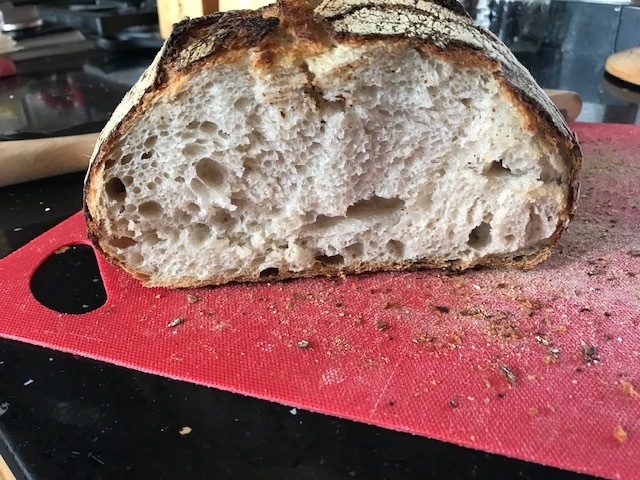 The other day, it said it had reached 450 F but it was only 400 F. This makes a huge difference when you are baking bread. It is being serviced this Friday. So for now I am in a holding pattern. Perhaps I will have a better loaf next week.